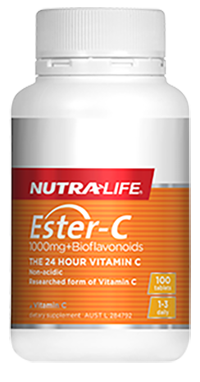 Provides 24 hour immune support in a chewable tablet. Made from a non-acidic, researched form of Vitamin C that supports natural immunity. May aid in decreasing the duration of colds when taken regularly. 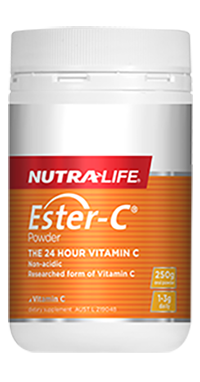 Provides 24 hour immune support and may aid in decreasing the duration of colds when taken regularly. 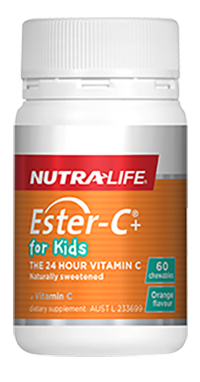 Made from a non-acidic, researched form of Vitamin C that supports natural immunity. Unique, great tasting respiratory health support and cough expectorant*. 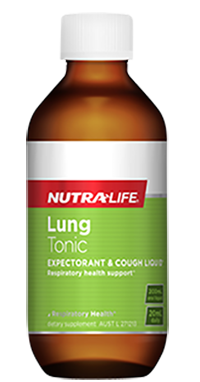 Made from Loquat, along with herbs White horehound, Common thyme, Elecampane and Common Ivy, Nutra-Life Lung Tonic offers a natural solution for respiratory health support. 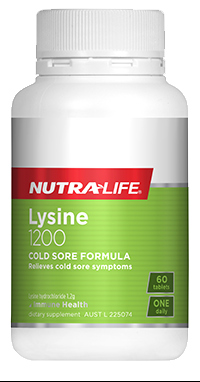 One-a-day cold sore formula containing 1200mg of pure Lysine. This product relieves cold sore symptoms and supports collagen production. 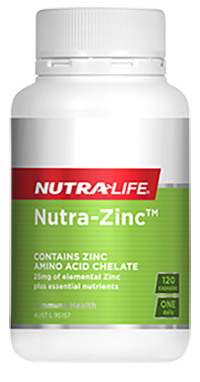 This one-a-day Zinc formula supports your immunity as well as the health of the reproductive system. 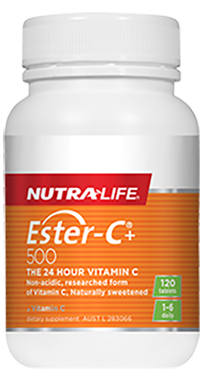 Combining 25mg of elemental Zinc with essential nutrients, this formula is beneficial for both men and women.